Colombia’s ex-president Alvaro Uribe was wiretapped by the Supreme Court after he began using the phone of a congressman investigated for corruption. Uribe in April formally requested that the Supreme Court explain why his phone was being bugged while the body was investigating him in a criminal case. In a response last week, the court confirmed that it had effectively bugged Uribe’s phone conversations – but only because he was using the phone that was registered to House Representative Nilton Cordoba (Liberal Party). Cordoba is investigated for allegedly receiving slush funds from the Uribe administration and the alleged bribery of former Supreme Court justice Gustavo Malo to frustrate the initial corruption investigation. Uribe’s hard-right Democratic Center party requested an investigation earlier this week, claiming that the court was illegally wiretapping the party leader and senate chief. Cordoba, a politician from the western Choco province, said the court was lying and that he had given the court a different number than the one used by Uribe earlier this year. 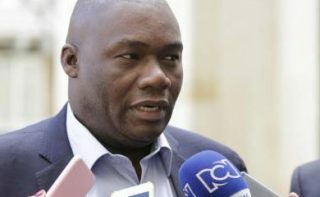 But documents made public on Thursday by the Supreme Court reveal that Cordoba used the phone for over two years, indicating that Cordoba had given his phone to Uribe while both were under investigation. “On nine occasions Mr. Milton Cordoba received messages and calls from the Supreme Court on this cell phone number over the past two years,” Supreme Court spokesperson German Gomez told this website. “It is important to clarify that the procedure of interception of calls was absolutely legal, the Court had the permission to do so,” he added. Barcelo also said that as soon as Uribe alerted the court they were effectively wiretapping him, they stopped the interceptions. Why and when Uribe began using the phone previously used by Cordoba is unclear. It is also uncertain how Uribe knew that the phone he was using was being intercepted. One of the most influential politicians in Colombia, Uribe — who served as president from 2002-2010 — is currently being investigated for intimidating witnesses in a case that ties him to paramilitary death squads. He has spoken out on a number of occasions about how the authorities are conspiring against him, even going as far as saying British intelligence service MI6 is involved. 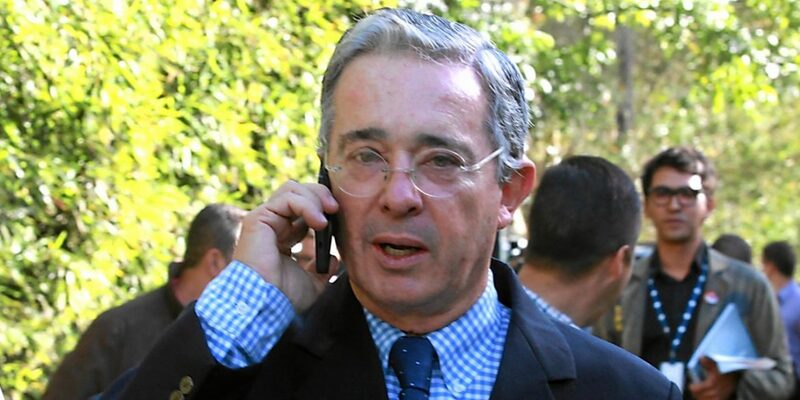 Several of Uribe’s closest aides were sent to prison for illegally wiretapping the Supreme Court while he was president and he is currently on a crash course with the justice system over his family’s ties to paramilitary groups. Criminal investigations into Cordoba by the court are underway for his alleged involvement in the ‘Toga Cartel’ scandal, which involves public officials bribing judicial figures. Uribe’s witness tampering trial also continues to move forward.